One whiff and I was hooked on this super sessionable brew. 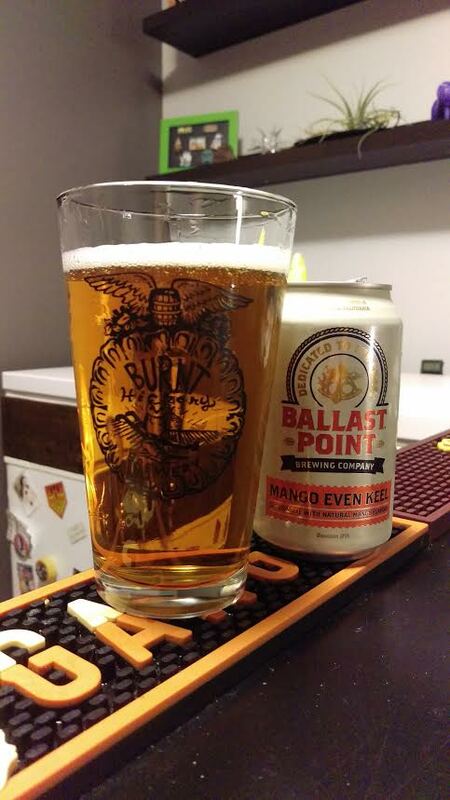 As soon as you crack the top of the can your smacked in the face with a bountiful bouquet of mango deliciousness. Those aromatics are rounded out with a whiff of citrus following all the juicy mango. It pours an unassuming crystal clear golden orange with a light and quickly dissipating head. From the looks of it you would never suspect that there is a huge amount flavor hiding in there. Tasting this brew starts with a burst of mango that leads to flavors of orange peel and bitter mandarin orange. Intermingled among the all the bold fruit flavors are notes pine and lemon that carry you to a lingering mango and citrus finish. Overall there are tons of aromatics and flavor with out overdoing the mango and fruit flavors. The flavors pleasantly stay with you for a while. I am really looking forward to popping the top on one of these while floating down the river in my kayak on a hot summer day.